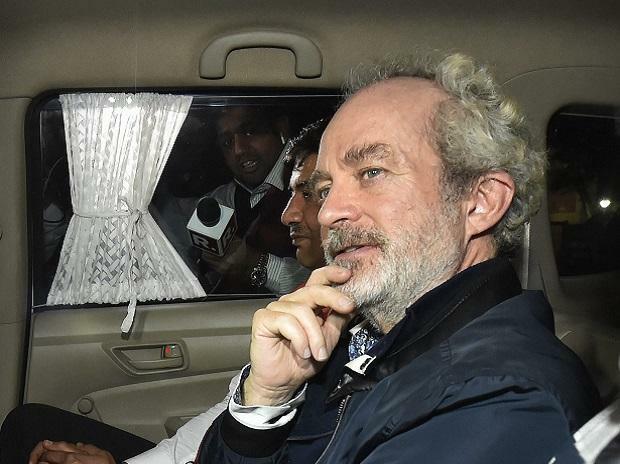 Alleged middleman Christian Michel, arrested in the AgustaWestland VVIP chopper case, received money from other defence deals as well which was to be probed, the Enforcement Directorate (ED) Saturday told a Delhi court, which sent the accused to judicial custody. The agency told special judge Arvind Kumar that Michel had received 24.25 million euros and 1,60,96,245 pounds from the AgustaWestland deal. "During the interrogation, it was observed that he had also received money from other defence deals, which the ED will enquire," it said. The ED's special public prosecutors, D P Singh and N K Matta, also told the court that the "accused has also routed money through 'hawala' operators for acquiring cash and for the purchase of property." The ED produced Michel before the court on the expiry of his 14-day custodial interrogation and requested the court to send him to judicial custody, claiming that he might flee from justice if left free. "The accused is a British national and has no roots in India. There is every likelihood that he may abscond from India and evade the process of law, especially in the light of his past conduct. "He has been brought to this court through rigorous extradition proceedings. His fleeing away from justice again cannot be ruled out," the ED said. The application was allowed by the court, which sent Michel to judicial custody till February 26. In the CBI case related to the AgustaWestland VVIP chopper deal, the court sent Michel to judicial custody till February 27. Michel, who was extradited from Dubai recently, was arrested by the ED on December 22 and since then was in the agency's custody on a court order. The ED told the court that it had identified Michel's properties purchased with the proceeds of crime. "He has given contradictory answers to various questions and he was not able to explain the contradiction," it said. The agency told the court that the audit report submitted during the trial in an Italian court was appearing to be factually incorrect. "We also need to decipher who the 'big man' referred to as 'R' is in the communications between Michel and other people," the ED told the court. It sought that Michel be barred from meeting his lawyers in custody, alleging that he was being tutored from outside through his lawyers. The ED told the court that Michel had made a reference to "Mrs Gandhi" during his interrogation on December 27. During his medical examination, the accused had handed over a folded paper to his lawyer, Aljo K Joseph, which was noticed by the ED officials. After the perusal of the paper, it was revealed that it pertained to a set of follow-up questions on "Mrs Gandhi", the ED said. The agency told the court that it was clear that there was a conspiracy to shield or tamper with the evidence that could be brought forth from the questioning of the accused. The CBI, in its chargesheet, has alleged an estimated loss of 398.21 million euros (about Rs 2,666 crore) to the exchequer in the deal that was signed on February 8, 2010 for the supply of VVIP choppers worth 556.262 million euros.